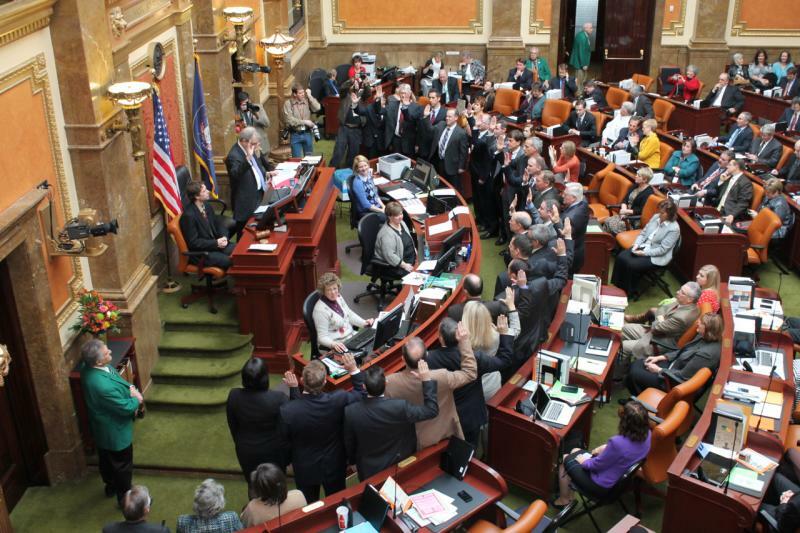 New members of the Utah House of Representatives are sworn into office on the first day of the 2013 legislative session. It was a line that drew applause from the House floor and citizens in the gallery, but Minority leader Jennifer Seelig sees the role of federal government differently. “Federal dollars are our dollars,” Seelig told KUER, “Those are our residents tax dollars. Everyone has a role within our system. I think we need to try to find ways where we can work with the federal government as well. Later, when reporters asked Lockhart which federal dollars should be cut from Utah’s budget, she did not have a specific proposal. Both Lockhart and Seelig say education is their first priority this session.